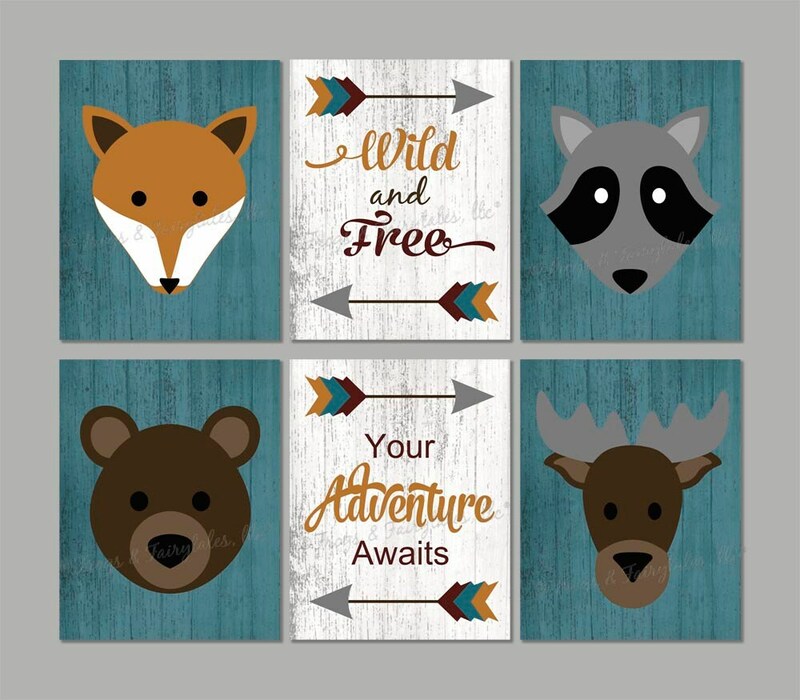 This woodland animal/tribal canvas wall art set of 3 prints is the perfect addition to your child's room! The listing price is for 3 gallery wrapped prints in the size you select. Shown in the listing example are 6 choices of prints. You can choose any 3 from the listing example that you'd like. The animal prints are a fox, raccoon, bear, and moose. They feature a teal background to match the teal in the arrows featured on the typography prints. The background of the animal prints and the typography prints has a subtle worn wood grain pattern. You can choose to have them printed in the colors shown in the listing example, or choose custom colors from the drop down menu if you'd like to have them printed in colors other than what is shown. Please leave your custom color requests in the note to seller section of your invoice. If you select custom colors, we will message you with proofs to approve before printing. Watermarks will not appear on your prints. These are gallery wrapped prints, printed on matte finish canvas, signed, and sealed with a matte finish to protect the art from dirt and dust. They are hung with picture hangers. If you would like something shipped outside of the United States or Canada, please message me with the shipping address and I can give you a shipping quote.